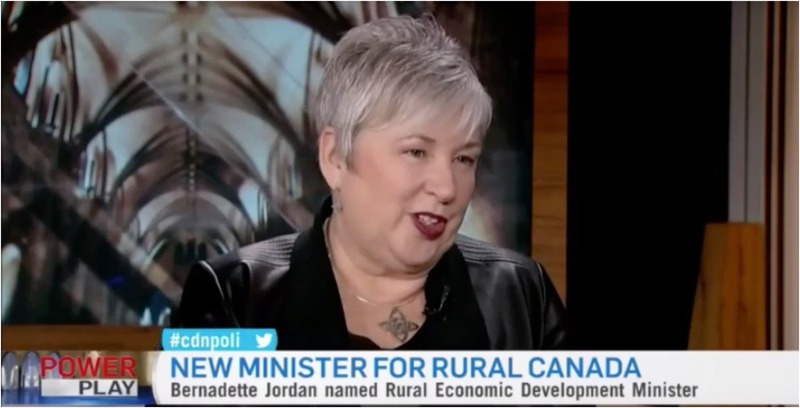 Rural Economic Development Minister Bernadette Jordan will be in charge of bringing high-speed internet to rural parts of Canada, according to her new mandate letter. “This includes the rollout of existing investments, programming towards further improvements, and ensuring that investments by the Government of Canada, provincial and territorial partners, and the private sector are co-ordinated to best prepare rural Canada for success in the digital economy,” the letter reads. The Nova Scotia Liberal Member of Parliament was appointed the role during Prime Minister Justin Trudeau’s cabinet shuffle on January 14th. Jordan was first elected in 2015 and represents the riding of South Shore-St. Margarets. She is the first woman to represent Nova Scotia as a federal minister. The creation of the new rural-focused ministry follows a $750 million pledge made by the CRTC to ensure that broadband internet is a basic service provided to the majority of Canadians. Specifically, the CRTC aims to use the investment over a five-year period to provide 90 percent of Canadians with access to internet speeds of 50 Mbps and unlimited data allowance.